The article by Garcia, Tor, and Schiff, “The Psychology of Competition: A Social Comparison Perspective”, addresses the lack of focus on social comparison and competition in the field of psychology. The writers suggest a model using social comparison to understand competitiveness. The article made use of a lot of psychology jargon, theories, and terms so it was very important to look things up in order to stay on the same page as the writers. Since it was a piece published as a part of the Association for Psychological Science, it was pretty clear that the article was intended for an audience of psychologists. That being said, the writers frequently touched on the idea of other disciplines working together to understand this idea of competition using social comparison theory. So in some ways this piece was extremely targeted to a certain audience, much like Werron’s article specifically targeted to sociologists, but also invited other readers from different disciplines (economics, business, political science, law, etc.) to learn and be a part of their studies. asison00′s response compared and contrasted the Bateson, Hutcheon, and Werron articles and gave a very clear summary of their main ideas. It was easy to see even in her brief synopsis how Bateson and Hutcheon argued against competition, while Werron was most focused on understanding and explaining competition and how it has changed over time through a sociological perspective. This particular article, by Garcia et al. truly felt like it sat right in the middle of the two extremes. It did not wish to only explain competition through a psychological lens, but also was not arguing for people to stop competing. Garcia et al. explained the different aspects that are important to remember when considering competition (i.e. individual and situational factors, the different factors within those factors, and the way in which they all interact) but also argued that using a social comparison perspective is helpful for understanding competition. Different than many of the other articles we’ve read, this one included and abstract. The abstract helped to clearly identify the goals of the article and the arguments they were making; it really helped to set up an appropriate way of thinking when diving into the paper. The article also consisted of very clear and distinct sections that really clarified what they were talking about and made it really easy to follow, as someone who is not in the field of psychology. It was easy to understand my life and how I experience competition through the psychological lens that they laid out for the readers. I could see the different ways in which I compare myself to others and think of myself in relation to my surroundings which leads to competition. 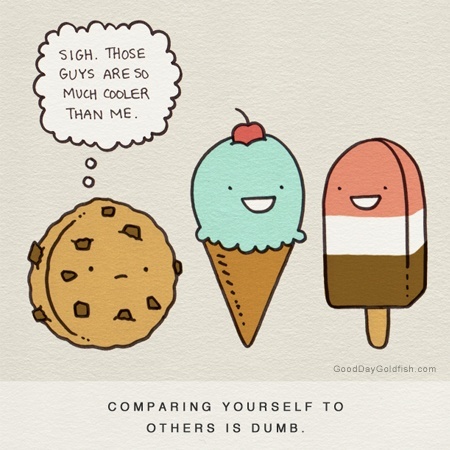 I never personally thought of how social comparison could have so many different factors. I never would have separated individual and situational factors because to me they all seem like part of the same thing – social comparison. Garcia et al.’s article gave me a different perspective on competition and a new way to understand the way I compare myself with others and competing. While surely it was a psychology piece, understanding competition from social comparison theory does really help to explain the way people compete in academics, appearance, social lives, etc. This course in general has gotten me reflecting on my life and competitive nature, but this piece in particular created a way of thinking where I could really see myself and my peers. I like that you outlined the effect that this article had on your own life and way of thinking and that you effectively compared the articles that we have been reading in class!